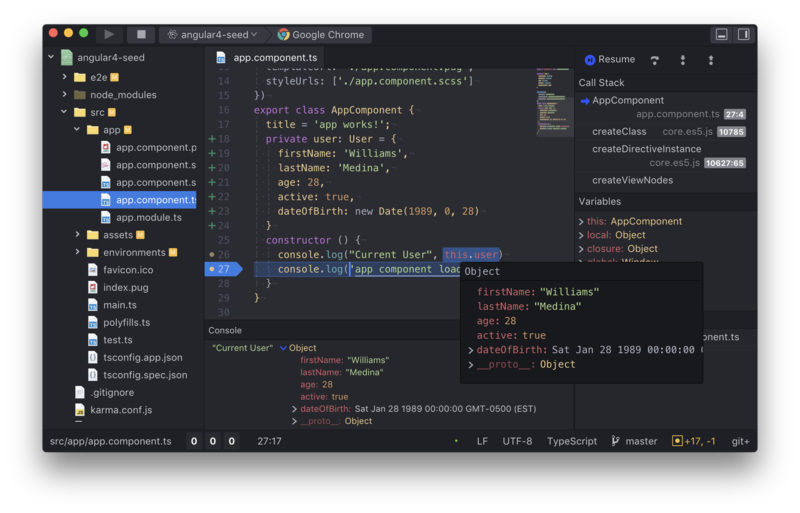 A Simple Debugging tool for Atom. xatom-debug is a base debugger UI provider, you will need additionally install a specific debugger for your language. Toolbar: Toolbar API allows to control the execution process, select and configure the selected plugin. Breakpoints: Add, remove breakpoints by clicking on the file line. breakpoints are accessible from the Debug Area as well. Debug Area: Navigate the current scope status local and global variables, open the current call-stack functions and control the execution step.